Sometimes the simplest statements can have the biggest impact. 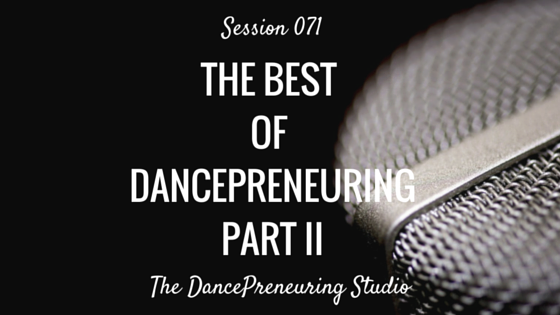 In this session of The DancePreneuring Studio, I continue sharing insightful snippets of past interviews that I have done. Love this podcast episode! Great tips from different angles of the dancing-enterpreneurial world. I will definitely check out the individual interviews.